We sell and install blinds from the top brands in the industry. 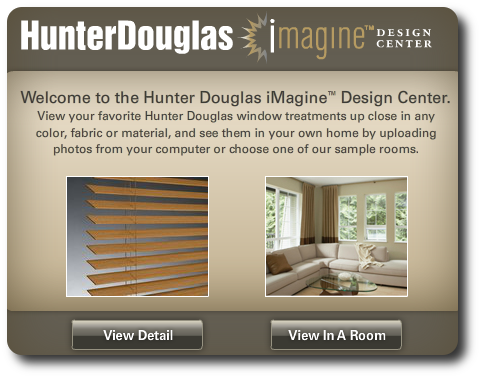 We offer Hunter Douglas, Graber Blinds, Draper, Fashion Tech and more. 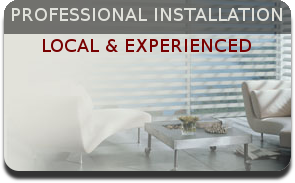 Our blinds are installed by experienced professionals who installed blinds in both commercial and residential settings. If your in the market for exceptional blinds, custom fit for your needs please give us a call. 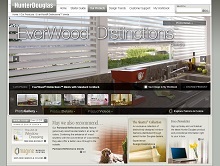 We're an authorized dealer for the biggest brands in the professional blinds industry. Our blinds come from the listed brands below. Every brand offers a different selection of options. We offer so many different styles your sure to find the best blind to suit your home, office or other window treatment needs. Our blinds come with many different optional features. We offer optional motorization on different models along with other operating systems. Choose from standard operating systems using a lift cord to an upgraded cordless system. Our blinds feature a many different colors and fabrics. An almost limitless selection of colors and fabrics makes finding the right blinds easy and affordable. 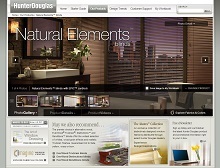 For an interactive experience visit our showroom. Along with the sale and installation of new blinds we also offer a blind cleaning service. Available in Rochester & southern Minnesota, our cleaning service provides a professional / top-tier clean for all types of blinds and shades. We use an enviroment-friendly cleaning agent that pulls dirt, grease and cigarette smoke from the blinds. It also cleans the headrail and all the strings to return the blind to you in a "like-new" shape. All blinds are rinsed in a spot-free / anti-static solution to help repel future dust. All of this is done at a price that is sure to please the budget. You've invested in your window shades ~ keeping them clean will aid in helping them last longer, operate more efficiently and helps ensure the health of your family. We also service and repair many different kinds of blinds, please contact us for more information.